Are Drone Strikes in Pakistan Legal? Are U.S. drone strikes in Pakistan legal? If conducted under certain parameters then they probably are. A March 12 U.S. drone strike in Waziristan killed 15 militants, including two senior commanders of the Maulvi Nazir faction of the Tehrik-i-Taliban. This was the ninth drone strike this year that we know about, and many more such strikes are expected in the coming weeks and months. On March 20, the all-party parliamentary committee in Pakistan called for an end to U.S. drone attacks as well as to “hot pursuit or boots on Pakistani territory,” declaring them a violation of Pakistani sovereignty. The committee has also rejected the U.S. offer of providing advance notice for drone attacks and limiting the types of likely targets. 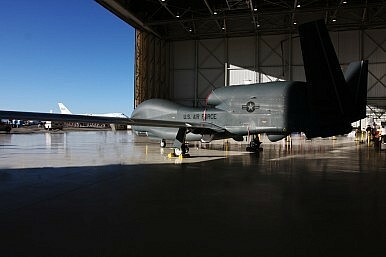 Indeed, the idea of advance notice appears to be a desperate attempt by the U.S. to avoid a total stoppage of its drone operations; hitherto, it has been highly secretive about its drone operations in order to prevent any last minute tip off to the militants by elements in the Pakistani intelligence establishment. Notwithstanding the 2010 WikiLeaks cables’ claims that the drone strikes have the tacit seal of approval of the Pakistani government and the military, they have certainly created extensive agitation and anti-Americanism in Pakistan. According to the Pakistan Institute of Peace Studies (PIPS), more than 220 civilians have been killed in drone strikes since 2004, although the American Foundation puts this figure at over 700 – either way enough to arouse public anger and upset government sensitivities. Further, the PIPS data also notes that the United States has eliminated over 2,500 suspected militants from the Taliban and al-Qaeda, including Osama bin Laden, Ilyas Kashmiri, Baitullah Mehsud and Nek Muhammad, including in drone operations. Clearly, the drones have yielded rich dividends for the U.S. Regardless, the drones have heralded a new dawn in warfare: strike from a safe distance and without any troops being placed in harm’s way. They are also a perfect device for surgical strikes. However, their increased use and success in the war on terror has sparked an international debate over the legality of their use and has raised three key questions: How lawful is this new form of warfare under international law? Are U.S. drone strikes against terrorist groups a violation of Pakistan’s sovereignty? What rights and responsibilities do the injured state (the U.S. or India) and host states (Pakistan) have should non-state actors (NSAs) continue to operate with impunity? The jihadi infrastructure in Pakistan continues to thrive, apparently with close links with the state organs (military and ISI). This suggests not only the state’s acquiescence to the unconstrained activities of non-state actors, but also its unwillingness to rein in these “strategic assets” in contravention of U.N. General Assembly resolution 2625(XXV), which establishes state responsibility to refrain from supporting acts of terrorism. Pakistan’s Inter-Services Intelligence’s “double game” has been a major reason for the growing mistrust between Pakistan and the United States and the suspension of U.S. financial assistance on several occasions. Last year, for instance, the U.S. had halted $800 million in military assistance over claims about the ISI’s complicity in the killing of journalist Saleem Shahzad, who was investigating the infiltration of extremist elements in the military and the ISI. The U.S. urging of Pakistan to persuade Hamid Gul, the ex-ISI chief, to ask Mullah Umar to leave Pakistan is another instance of the ISI’s continued ties with these groups. The testimony of David Coleman Headley also indicates the involvement of Pakistan’s state organs in supporting terrorist activities by non-state actors. These links are deep and proving hard to dismantle. Some past International Court of Justice (ICJ) cases are also instructive from the perspective of attribution of NSA acts, state obligation towards NSA acts, self-defense of the injured state, the necessity for punitive action and proportionality of any punitive action. In the Genocide Case, the ICJ had ruled that because of want of evidence the genocide committed against Bosnians by the Serbian army couldn’t be attributed to the state and therefore the Former Republic of Yugoslavia (FRY) couldn’t be targeted. But it went on to note that nonetheless, it was the obligation of FRY, given its considerable influence on the Serbian army, to prevent the genocide, a task it had failed to carry out. In Nicaragua vs the United States of America, the ICJ stated that in order to legitimate the U.S. support for the Contras against the Nicaraguan government and military, the armed attacks by Nicaragua-based rebel groups against El Salvador needed to be attributable to the Nicaraguan state. Since this couldn’t be done, the targeting of the Nicaraguan government and military by the U.S.-supported contras was unlawful. In Democratic Republic of Congo vs Uganda, the ICJ ruled that since the attacks carried out by anti-Ugandan rebels operating from the territory of the DRC weren’t attributable to the DRC, Uganda had no right to use force in self-defense against the DRC. In other words, the rebels should have been the target and not the government. What do these judgments imply in the Pakistani context? First, in order to target the state, the wrongful acts of the non-state actors must be “attributable” to the state. Although a majority of the acts of the non-state actors in Pakistan are attributable to state organs, the U.S. isn’t targeting the state and is only surgically targeting militant hideouts, barring occasional unintended and misdirected strikes. Second, in targeting the militants, the United States doesn’t violate Pakistan’s sovereignty because there’s an exception available to the state’s right of territorial sovereignty under customary international law. UNGA resolution 2625 clearly establishes state responsibility to refrain from supporting acts of terrorism, failing which the injured state(s) can exercise the right of self-defense to protect their interests and citizens, which is also specified by Article 51 of the U.N. Charter. Third, Article 51 provides that the case for targeting non-state actors rests on compliance with the requirements of necessity and proportionality. In Pakistan’s case, U.S. actions in the form of drone attacks are in compliance with necessity (since political and diplomatic options have been exhausted in convincing the Pakistani state to rein in these groups), and proportionality (strikes are targeted at the militant hideouts in a localized area and not at government troops or installations). And, fourth, the ICJ ruling implies that Pakistan, the host state for non-state actors, can’t escape responsibility over the acts of NSAs, whether they are committed with or without its knowledge, and that it must do everything in its capacity to rein in these groups. The mere denial of state involvement isn’t sufficient. Thus, drone strikes constitute an effective and lawful response if they are carried out within the bounds of the above provisions. Ashutosh Misra is a research fellow at the Centre of Excellence in Policing and Security (CEPS), Mt Gravatt campus, Griffith University, Brisbane. This is an edited version of an article published here by the Institute for Defence Studies and Analyses (www.idsa.in) in New Delhi. The accidental killing of 24 Pakistani troops by NATO aircraft has prompted an angry response from Pakistan – and further dimmed any prospect of mutual trust.